Come join the fun at Summitt Movie Night on Friday, October 6th. We will be showing “Hotel Transylvania 2” and “The Lego Batman Movie” in the cafeteria and the Great Hall. A ticket will get you a snack pack with popcorn, a sweet, and a drink. Bring a blanket or a chair if you’d like. Doors open at 6:30 p.m. and the movies start around 7 p.m. 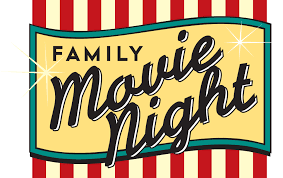 The week of Summitt Movie Night: Wednesday through Friday tickets will be on sale before school in the car line (for exact change or check) and after school in the Great Hall for $5. Tickets at the door will be $6. You may also purchase tickets by filling out the purchase tab at the bottom of the movie flyer and return it to your child’s teacher along with your check or cash payment. All children must be accompanied by an adult. Proceeds will benefit the Koblenz Exchange Program. The 2017-2018 Seasonal Flu Vaccine Consent Forms went home on Monday, October 2. The flu vaccine will be given on Tuesday, October 17 from 8-11AM. Parent consent forms DO NOT need to be returned if parents wish to opt out of immunizations. All immunizations will be in the form of a shot and will be provided at no cost to students. Please talk to your student and let them know that they will be receiving a flu shot on that day. We could use a few parent volunteers to help with getting students to the correct location. If you have some time on Tuesday, October 17 from 8-11 AM please e-mail shana.pokorny@austinisd.org or call 512-414-4258. *MMS is also hosting an IB Parent Night for incoming 6th grade parents who want to know more about the IB program on October 18th from 5:30-6:30 pm. Eagle Fest runs on volunteer power! Please sign up here (www.SignUpGenius.com/go/4090949A9AD2AA2FE3-eagle2) to help staff your child’s class booth. We need your help to make this year’s event a success! Eagle Fest is in need of small, unopened toys from restaurants like McDonalds, Chick Fil’A, Wendy’s, and Arby’s as well as larger “prize booth toys” in new or gently-used condition. A toy donation box has been set in the Great Hall near the Summitt Office. In addition, every year we ask our wonderful Summitt families to help us out with food and drink donations. We sell the drinks and chips in the Food Court and use the candy, Pringles, and 2 Liter soda bottles as prizes. Signs have been set up along the wall in the Great Hall across from the office showing where to drop off your donations. There’s an opportunity to receive a grant for a shade structure at Summitt. If you are interested in writing for this grant, more information is here. Make sure you are receiving the GT emails. If you are on this list, but wish to be removed, please reply STOP, and I will remove you from the list. If you know of someone who should be on this list, but is not, please have them email me their address. GT services/enrichment for this year. Last year the PTA generously earmarked a lump sum of money to hire a support staff for the library with the intent that I’d have a few more hours to work with GT students. I have hired a woman who has years of volunteer experience in the Summitt and Murchison libraries. Her name is Laura Froelich. Unfortunately, her paperwork has not been approved by the district just yet– through no fault of her own. In any case… I hope to see her regularly very soon. Until then, I am in communications with the teachers regarding the best ways to provide services and enrichment for our students. As a campus, we are no longer doing FIT, so I am not currently seeing our GT students as Ms. Neill and I had in the past. I’m hoping that by mid-October we will have some sort of additional services under way. In the meantime, teachers are assessing their students and providing differentiation in the classroom. I’m sorry if that is frustrating. I appreciate your patience. It is very much a priority for me. Right now, I just do not have all the pieces in place to be able to begin. Thanks for all your support! As always, please do not hesitate to contact me with any questions and/or concerns. —>If you’ve got two hours this Friday (10/6) morning, sign up to help sort students’ artwork to be shipped to Original Works for scanning: http://www.signupgenius.com/go/10c0c4aafac2aa6fb6-summitt1. Contact lisawolf@gmail.com for more info. —>If you’ve got 90 minutes, 60 minutes—even 30 minutes—this Friday (10/6) morning, contactappreciationdays@summitteagles.org to learn how you can help create posters and “thank you” treats for our school’s food servers and lunchroom monitors for Food Service Workers Appreciation Week/National School Lunch Week next week (October 9-12). Austin ISD proudly recognizes Custodian Appreciation Week, October 2-6. From spotless floors to bathroom cleanliness, Summitt custodial staff work hard to keep our facilities clean and safe. Day in and day out, they arrive early and stay late to make sure that Summitt is a great place to learn, teach and work. They are a crucial part of our family. The next time you see Veronica Garcia de Buentello, Maite Escobar, Cecilia Quintanilla and Maria Torres on campus, let them know how much you appreciate their hard work!!! Please remember our cafeteria staff and all of the work they do for us by saying thank you to them in commemoration of Food Service Workers Appreciation Week, October 9-13!! Please consider being a homeroom parent for one of the following classes. The coordinator provides you with a packet of tips and recommendations, as well as example emails and flyers that you can use. Please contact homeroomcoord@summitteagles.org if you would like to help. Did you know that by joining PTA, not only do our students benefit, you can benefit as well. PTA members get discounts at places like Schlitterbahn and Six Flags. Visit the Texas PTA website to find out more! Every year you need to join to get access to these discounts. Join at Summitt’s online store OR pick up an application in the Great Hall and turn it in at the office. Birthday Book Club sign-up going on NOW! You are invited to join the Summitt Elementary Birthday Book Club! What: Celebrate your child’s birthday by donating a book in your child’s name to the Summitt Elementary Library. Students are recognized over the PA system on the Monday of their birthday or half birthday week. A special bookplate is put inside the front cover of the book. Your child will be the first person to check it out! Why: Your donation is very special to your child and is very appreciated. Students feel that they have ownership in their school library. Your donation is a source of supplemental funding for our library program. Your donation will be used to continue the development of our library collection so that it is current and reflective of our students’ interests. Where: Please make your selection from the Librarian’s selection of new literature or recent non-fiction found in the library. Prevents unnecessary duplication of titles. Provides a book that has library binding and will last longer. Assures that the book is a choice that the library really wants and need. Cost: Only $10. Please make checks payable to Summitt Elementary. How: Come by the library now until November 10 or fill out the form electronically and I can choose a book for your child. Our enrollment period for this years’ birthday book club will be from now through November 10th. This is for all birthdays during the school year and during the summer. Summer birthday books will be presented on the child’s half birthday (ie- June 4th = Dec. 4) so students still have time to check out the book and enjoy it. Come to the library from now until Friday, November 10. Make your choice from the Librarian’s selection of birthday books. Questions about AISD water testing? The FAQs and letter regarding the water testing is now online. It includes a link to the PDF of results for each facility. Summitt’s results are on page 112. https://www.austinisd.org/announcements/more-information-water-testing-results-facility-faqs. Meet members of the Fulmore community and learn about the Magnet and Dual Language programs and application processes. More information is here. This appears to be a super event for girls and their parents. Featured speakers are Denise Hamilton, founder of Watch Her Work and IOLA and Lizzie Velasquez, motivational speaker, anti-bullying champion, and author.